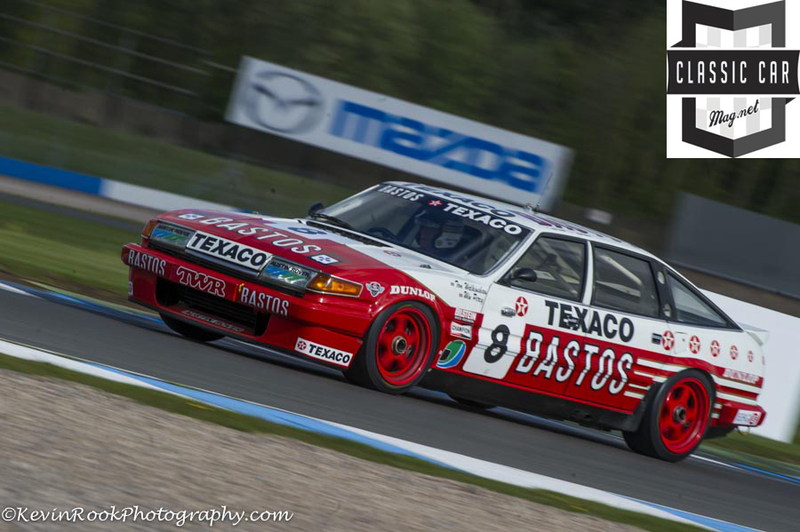 JD Classics finished the Donington Historic Festival with two podiums, two pole positions and two fastest laps – despite technical difficulties forcing two of its entries to retire from leading positions. 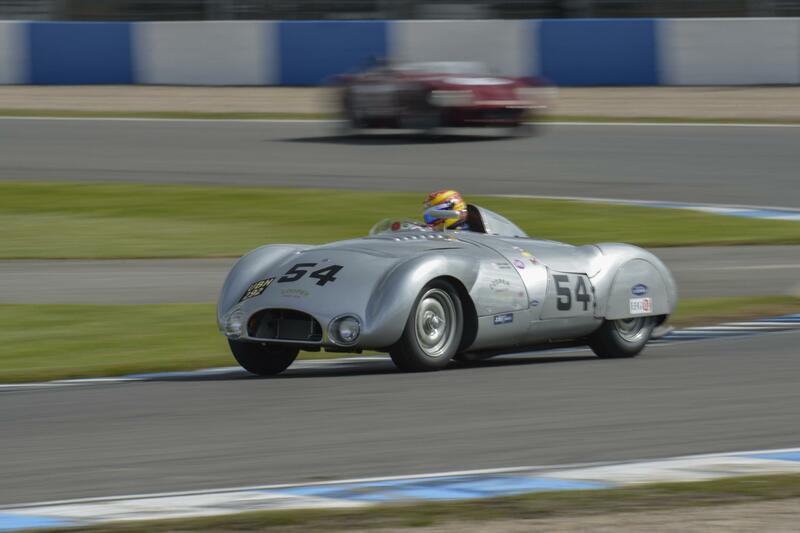 Competing in the Stirling Moss Trophy for pre-1961 sports cars was JD Classics’ Costin Lister, which qualified well in sixth place at the hands of JD Classics’ own Chris Ward. 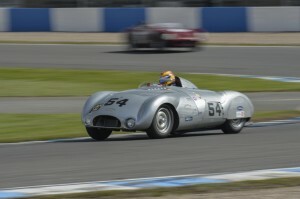 A slight misfire prevented a higher qualifying position but with the car running smoothly for the race, the Costin Lister was in the lead by lap six, having posted the fastest lap of the race. With a time penalty for using just a single driver and a driver mistake while chasing the leader, the Costin eventually finished second. 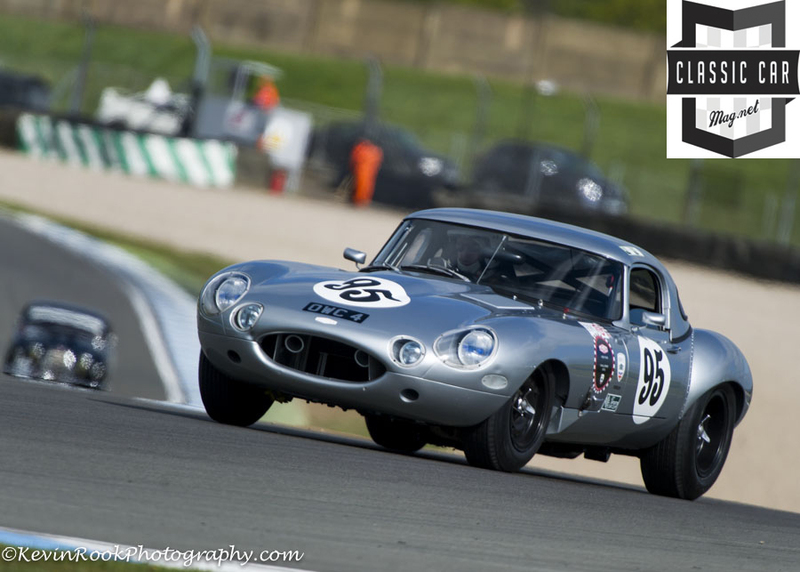 In the newly created Jaguar Heritage Challenge event for pre-1966 Jaguars, JD Classics was competing in an E-type, again with Chris Ward at the wheel along with historic racing driver John Young. 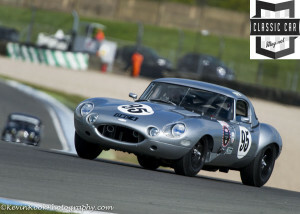 With a qualifying position of fifth, the team were in good shape for the race, and were dicing for the lead with two other E-types. At one point an oil spill forced all three cars off the track and the race was red-flagged. Following a driver change shortly after, the JD Classics’ E-type came home in third place.